Anyways, enough chatter from me, I'm sure you all just love it anyways. So, if you've seen my profile picture on...well basically every site then you more than likely have already seen this eye look! 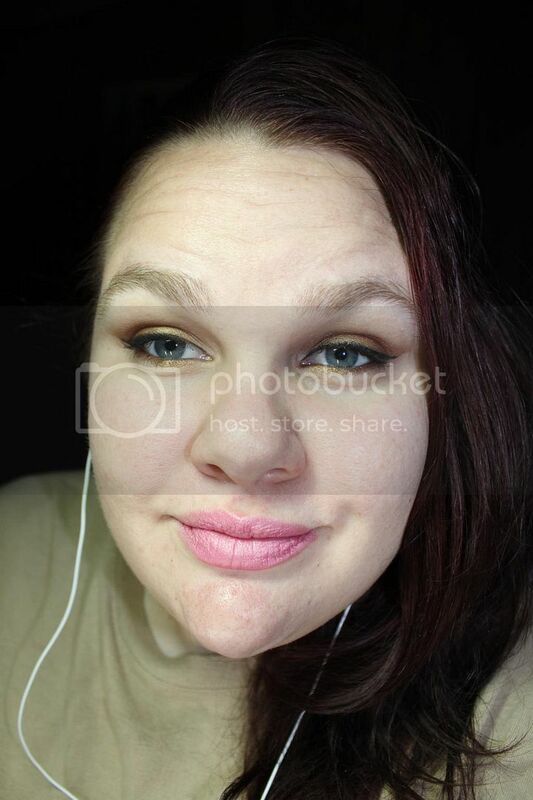 The good part is that this is mostly a drugstore makeup look. I say mostly because I use 2 Urban Decay eye liners then at the last second threw on a lip color from Paula Dorf. But for the most part, it's easily accessible...or hopefully it is. What do you think? I'm quite loving that Paula Dorf lip color! Me gusta! I love the eye look too! I'm obsessed with it! Love the bronze color. It was made for you Autumn. Very pretty. The bronze looks great on you. Love the eye look! It looks great on you. That gold goes PERFECT with your eye color. Looooove! 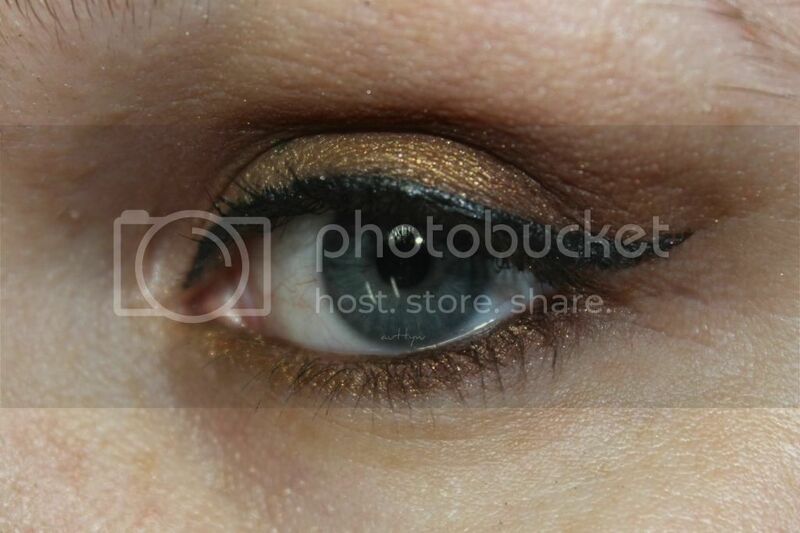 I love this bronze-y look! Thank you so much! 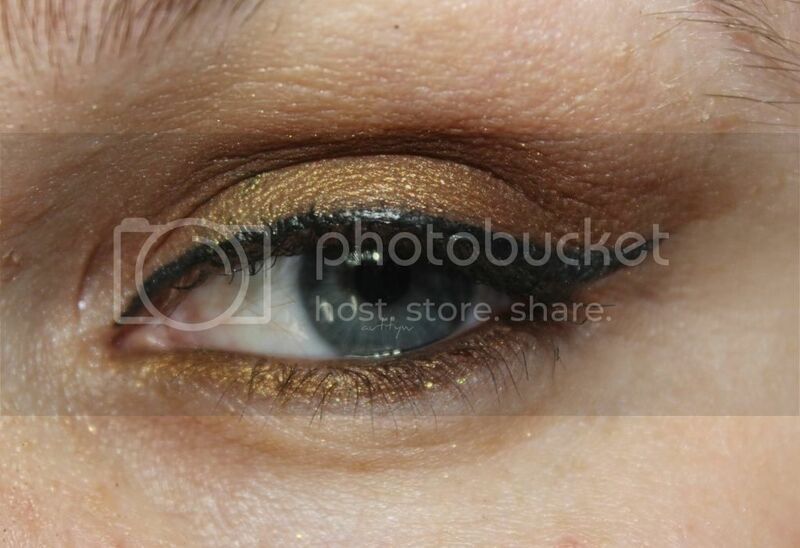 That's why I stopped wearing colors because the gold/bronze colors look good with my eye color! Thank you! I'm in love with the color! I hope you can find it! It was one if the Limited Edition ones from Spring of last year! Oh my gosh me too! I'm so over being sick! I've got so many different golds and browns because a few years ago I learned to play with those instead of the wild colors that I was going. Thank you so much! Your eyes are just gorgeous! Perfect wing!